18" Long. 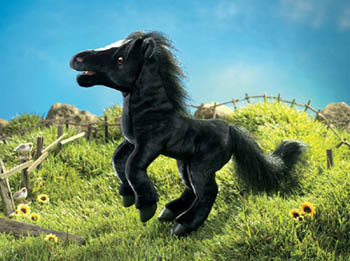 The black horse has a white blaze and black mane and tail. Black eyes with brown eyelids. Features a workable mouth.